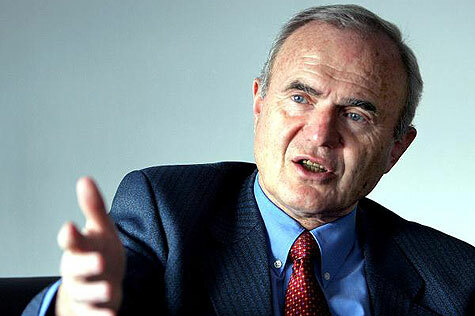 Otmar Issing, former Chief Economist and Member of the Board of the European Central Bank (ECB), is warning on the fragility of the euro. In an interview with the German business news magazine Wirtschaftswoche, he states, with justification, that the European Central Bank can not simply continue to bailout deadbeat members of the euro zone. My concern is that the ECB has imposed a political task on itself without having a mandate - namely to guarantee the composition of the euro zone in its existing form. In essence, it is exactly what ECB President Mario Draghi has aimed at with his famous "Whatever It takes" speech. The Greeks...have attempted to blame thire misfortunes on shareholders or on Germans, but not on their own policies, such as the more than 100 per cent wage increase in the public sector in less than ten years. In Greece, the government is still maintaining an anti-growth policy. Italy also did not seize the opportunity. The country has saved tens of billions in interest without taking advantage of the leeway. In short, the euro crisis is not over yet. The longer the ECB is delaying its exit from expansive monetary policy, the more difficult the exit will be. The central banks have entered a dangerous dependency on the financial markets. Issing (age 81) continues to be a major player. Since January 2007, he has been an international advisor to Goldman Sachs and since 2006, he has served as the president of the Center for Financial Studies at the Goethe University in Frankfurt am Main. He has been calling for Greece to leave the euro zone since 2010, now calling it "Grexit," saying Euro exit would be good for Greece. “For Greece, there are very good arguments that it would do well outside the euro area for some time to come, but it all depends on the Greek government’s reactions” Issing told CNBC in September 2015. Of course, he is crony economist so he wants other countries to bail out the debt Greece owes banksters when the correct policy move by Greece would be to Grexit via bankruptcy, that is, exit from the crushing debt owed to the banksters.